stuck on grime or dirt. known as WD-40. In addition, you can use detailing clay to pull debris out of any cracks or chips in the windshield. Another solution for pre-cleaning, especially after using WD-40, are Aquapel Pre-Cleaner Towelettes. Wiper blades and wiper arms are often a contributor to streaking, scratching or other damage to your windshield. Be sure to inspect wiper blades and wiper arms for any defects, and replace them if necessary. You will want to clean the wiper blades before cleaning your windshield to prevent them from marring your work as well. A great way to clean wiper blades is to cut a lemon in half and run the juicy side up and down the blade several times before wiping them off with a paper towel. Be sure you park your automobile in the shade before you start cleaning your windshield. Not only does this help prevent glare and allow you a better view of what you are doing, but it also prevents cleaners from evaporating too quickly and leaving a residue behind. It is important to clean both sides of your windshield in order to provide the clearest visibility. Be sure to clean the exterior windshield first. This will allow you a better view for evaluating your progress when you clean the interior side. Towel. Choose either a high-quality, microfiber towel (minimum 300 GSM) or a huck towel, which is valuable as a lent-free/residue-free towel used to clean surgical instruments. Fold the towel twice so that you have four smooth, dry surfaces to work with. Glass Cleaner. Select a non-fluorocarbon, solvent and ammonia free glass cleaner. 2 Tbsp distilled white vinegar to 2 cups of distilled water is a good natural solution. Foam cleaners that do not run or evaporate to rapidly, like Aquapel Glass Cleaner, are a commercial option to consider. Buffer. One of the best and least expensive items you can use for buffing is a sheet of newspaper, though a dry, lint-free towel of any type will work. The key is to apply glass cleaner to only half of your windshield at a time. Wipe up and down in an even motion, and then turn the towel over to its dry side and wipe back and forth. Be sure to clean under the wiper blades as well. Refold your towel so both sides are dry before repeating your work on the other half of the windshield. If you notice any streaks left behind, you can usually buff them out to finish up. Cover your dashboard with towels or newspapers to prevent window cleaner residue drips. Fold your towel just like you did when cleaning the exterior. Spray glass cleaner on the towel instead of on the windshield. Clean one half of the interior windshield using the same technique as you did on the exterior windshield, and then repeat the process on the other half. Buff as needed to remove any residue streaks. Prohibit smoking inside your car, because cigarette smoke contributes heavily to the buildup. Do not use oil based “protectants” on the dashboard of your car. Under the intensity of solar heat, they produce an oily gas, which collects on your windshield. Install a non-vinyl cover over your dashboard. prevent water marks and hard water deposits. One of the best windshield treatments available is Auquapel Glass Treatment. This treatment creates a chemical bond to windshield glass, is easy to apply and lasts up to six months, which is six times longer than most glass treatment products. Clear vision while you’re driving is one of the best ways to avoid a collision and minimize damage and potential loss. 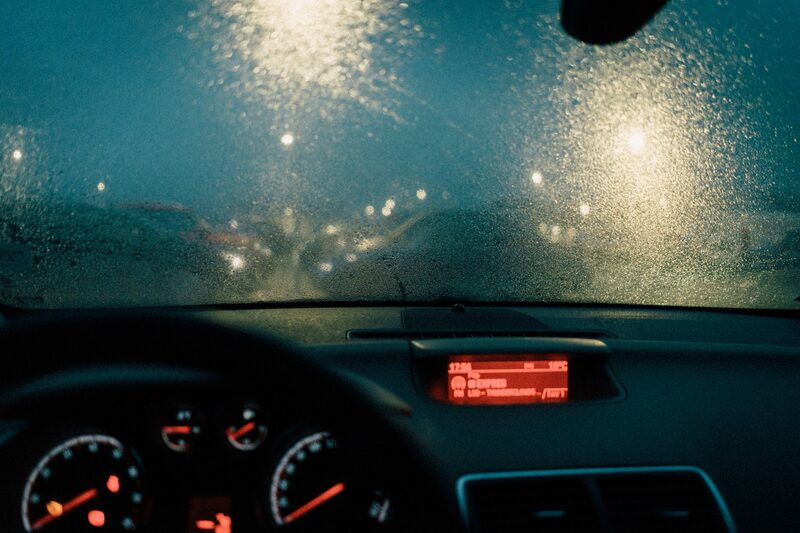 JD Collision is dedicated to helping you see better and stay safe while you’re driving in all sorts of weather. We provide top quality products and services to maintain your car’s windshield, including Aquapel Products. Contact us for more information on how you can save 10% on Aquapel Windshield Treatments.